And with the snap of your fingers, April is here. Just standing on the doorstep of some warm weather, sunshine, and of course, windy afternoons. So let’s look at what this spring has in store for us and at a few new partners we added in March. With the addition of greater Denver to our home delivery map, our list of partners has gotten a whole lot more interesting I have to say. You see, I like to think about our food region like Goldilocks and the Three Bears. Arizona, Colorado, and New Mexico are each in their own right a great growing region…But, none of them has a year-round answer to the local food movement. AZ/NM get too hot in the summer and CO too cold in the winter. Together though, these three states offer just an amazing amount of sustainably produced goodies on a year-round basis. I keep hammering the notion of year-round production because you Have to have this box checked if you are to truly have a sustainable food model. 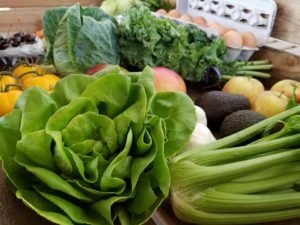 The one huge issue that the “Buy Local” food movement forgot to address was what the heck do you do when your Local area cannot produce something because it is either too hot or too cold (like Goldilocks)? So the challenge for all of us at Skarsgard Farms over the last 15 years has always been how do we celebrate the local flavors while being realistic in our limitations? And if we can answer this challenge with authenticity, then we will build an incredible and sustainable food model. I think along this journey for a better food industry, the break-through moment came not in realizing our strengths, but in conceding our weaknesses. Very few environments throughout the world offer a year-round “Buy Local” food option. So if that option is not feasible for us in the Southwest we have to push out the radius a bit and ask the question is a “Buy Regional” food movement possible for a 52-week a year food program? The more we asked this question, the more we met inspirational producers and the answer became clear that Yes it is possible to have your Organic cake and eat it too. Wow, what a feeling to know that we are on the right path, but we just need to find pilgrims who are on our same journey. We already have so many great partners on our team, but as I have written about in the past, we are always looking for more. So let me introduce you to 4 new suppliers who will be helping make this vision for a better food system a reality. Boulder Meats. There are not a lot of options for regionally produced healthy chicken options. Poultry is one of the hardest items to source locally. So we worked with a provider out of California while we continued our search for something closer to home. And then we found Boulder Meats. We will be expanding out our chicken offerings as we work with them on packaging and various cuts that they produce. Check our Butcher Shop for new items as they come available. Tonali’s Meats. An incredible family-run butcher shop in the Denver area who we have worked with over the years and recently asked to become a larger provider for our customers’ needs. Again, you will see these offerings grow and become more diverse as we work closely with them to offer you the best value for regionally sourced healthy meats. Grower’s Organic. Brian and his team at G.O. have a really similar model to ours at SKRS in that we are stronger as a team of producers than we are by ourselves. 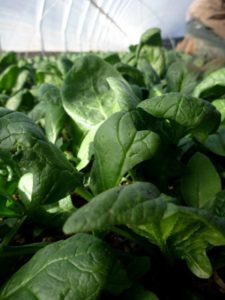 So as the weather gets too warm throughout AZ and NM this summer, we will be sourcing a lot more of our cool season needs (greens, roots, herbs) from Colorado and Brian’s network. This will be a great new partner for us in the Colorado produce world. Last, but not least, the Sage Bakehouse in Santa Fe. They bake up some of the most memorable artisan loaves that you can find anywhere. 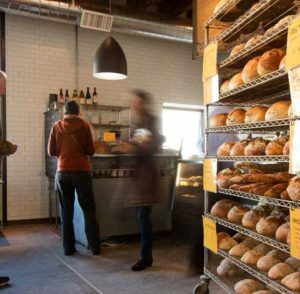 Their sourdough and whole wheat farm bread will blow your mind. They are/will be an awesome addition to our already superb line-up of baked goods. Well amigos, that is what our April is looking like in a nutshell. So many great flavors all coming together under one roof…well, maybe under one web site. Our roots have always been (and will continue to be) in the tasty regional produce that we offer. But with that said, our meats, dairy, baked goods and fresh pastas are making for an absolutely incredible culinary experience coming your way.